For Tom Ford's AW16 runway show, BLive translated the look and feel of the live event into a full digital experience. The Tom Ford AW16 event drew on BLive's experience producing a digital experience with instantly shoppable collections, live behind-the-scenes content and video capture. A shoppable video allowed viewers to save, shop and share their favorite looks or their entire curated collection. Live photography offered viewers behind-the-scene photos of the event. Tom Ford's digital runway experience included over 400+ products from 52 looks, each available that night for purchase. BLive's shoppable video allowed the brand to capitalize on this product launch by acting as a direct conduit from the viewing experience to a shopping cart on TomFord.com. BLive's shoppable video eliminated the waiting period between a live collection launch and its availability to viewers. By integrating the live stream with a shoppable Looks Widget, BLive provided viewers with an easy access point to shop the show. Offering a fluid shopping experience to interested viewers allowed BLive to translate product interest into a completed check-out process moments after models took the stage. Viewers who saved a look could opt to move forward with the check-out process or continue watching the live stream, with saved looks stored in a collection viewers could access at will. After curating this large offering of products down to a collection of favorite pieces, viewers could then share that collection using an auto-generated permalink. The entire experience, including the shoppable video, embedded from just one line of code that was easily installed. 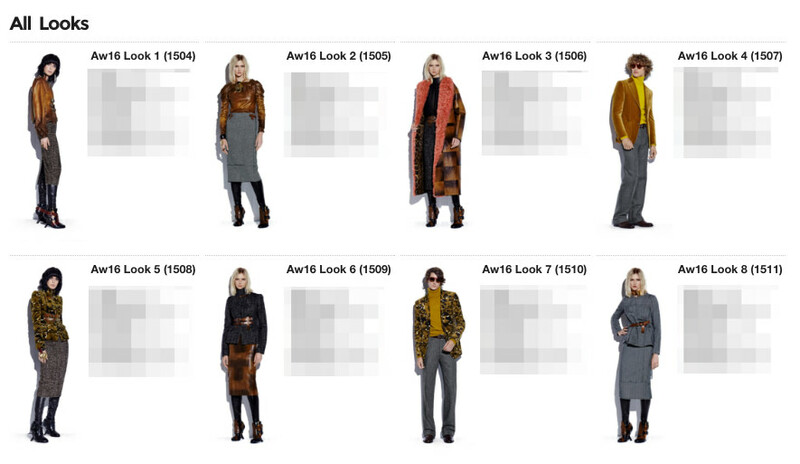 This embed code included several modules that sat alongside the shoppable live stream on a full collection page, offering a more comprehensive look at Tom Ford's products and brand. A Head-To-Toe gallery with photographs of looks featured in the show, a Behind-The-Scenes gallery with exclusive photos captured and published live during the night of the event and additional shopping units enabled viewers engaged with the show to engage further with the brand. A simple one-line embed code enabled Tom Ford to share the embed. Each embedded stream included all of the shoppable functionality, which increased the global reach of the Buy Now experience. Viewers creating a shopping collection on one site could easily later view and shop their saved collections on any other embed instance. BLive tacked all of these viewer interactions across all installations, allowing the Tom Ford team to analyze their distribution efforts. BLive's tracking system encompassed all user activity on looks, photos, wishlists, products and social shares, providing business intelligence on all digital aspects of the event.